FORECAST: Dems Have 75% Chance Of Taking House - Joe.My.God. 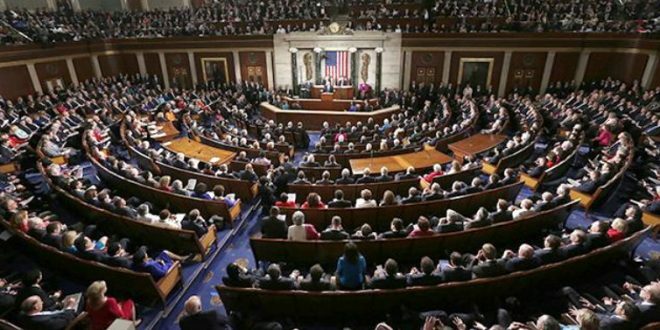 Democrats have about a 75 percent chance of retaking the House of Representatives in the midterm elections, according to the data crunchers at FiveThirtyEight. The website launched their new House forecast on Thursday, predicting an 80 percent chance that Democrats gain between 14 and 58 seats. The party needs to flip 23 seats to retake the House in November. 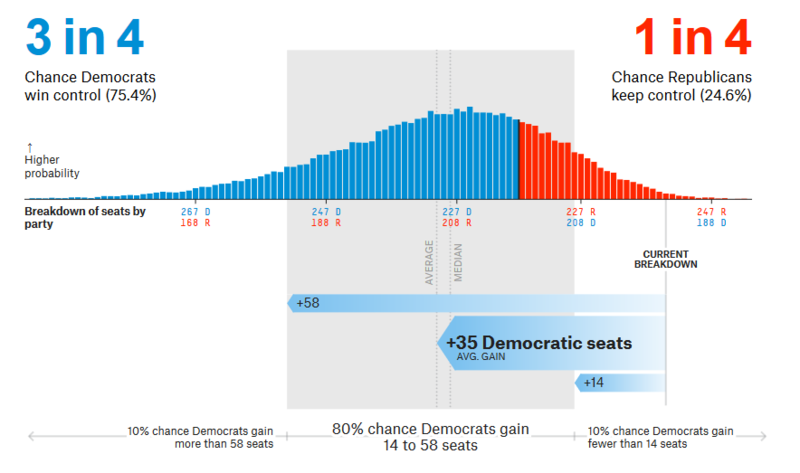 FiveThirtyEight says there is a 10 percent chance that Democrats gain fewer than 14 seats and a 10 percent chance of a big wave that would see them gain more than 58 seats.